Lyme disease is carried by tiny ticks; lower right above. On Monday, the day this article appears, New York will get a new law that protects doctors who offer illegitimate therapies for a non-existent disease—unless Governor Andrew Cuomo vetoes it. The law is written to protect doctors who offer expensive treatments that provide no benefit, and it is being supported by advocacy groups who are thoroughly convinced that these treatments work. What is this about? Lyme disease. A cadre of doctors has emerged in recent years who specialize in treating something they call Chronic Lyme Disease. They call themselves “Lyme literate,” and some of them have built their entire practices around CLD. Unfortunately for them, and sadly for their patients, this disease does not exist. First, I should be clear that Lyme disease is a real illness. It’s caused by a bacterium known as Borrelia burgdorferi, a small spirochete carried by ticks. (Aside: I was part of the scientific team that first sequenced this bacterium.) In most cases, Lyme disease responds well to a short treatment with antibiotics, and patients are fully cured. (See this excellent short video from Dr. Paul Auwaerter of Johns Hopkins School of Medicine.) Lyme disease ticks are really tiny, about the size of a poppy seed, and many people get bitten without realizing it. 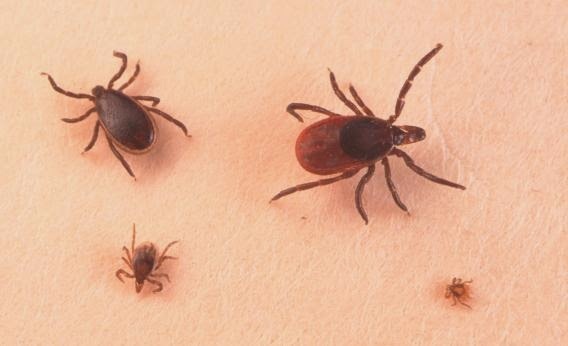 The ticks are carried by deer, and the disease has become more common as deer populations have exploded in suburban areas of the northeastern U.S. Long-term antibiotic usage doesn’t help, as multiple studies have shown (for example, Klempner et al. here and here). Even worse, it can create drug-resistant bacteria and other very serious, even fatal, complications. But let’s not get distracted. The NY law is emphatically not providing support for Lyme disease patients, or funding new research into Lyme disease treatments. This law has one purpose: to protect doctors who want to use unproven, possibly dangerous therapies on unsuspecting or confused patients. Callahan and Tsouderos documented multiple cases where doctors told patients with other diseases—such as Lou Gehrig’s disease—that they had Lyme, and then treated them with expensive, unapproved drugs. Let's hope Cuomo rejects this law today. Otherwise, New York may become a haven for illicit, unscientific, and possibly harmful medical practices. Does a 3-day fast reset your immune system?